1975: Ryan's Hope's Jack visited Sister Mary Joel. 1984: Santa Barbara's Jade ran into David Hasselhoff. 1986: Another World's Reginald had a fire started to stop a story. 2003: The Young and the Restless' John punched Victor. 1941: On radio soap opera Life Can Be Beautiful, "Chichi" Conrad (Alice Reinheart) coped with heartbreaking news. 1967: CBS aired the first color broadcast of The Secret Storm. 1972: The Edge of Night began airing at 2:30 p.m. ET, moving from its usual 3:30 p.m. timeslot where it had been performing well in the ratings. CBS and Procter & Gamble made the decision to move the show to create blocks of P&G soaps that would not compete against each other on CBS and NBC. Edge of Night's ratings took a nose dive, and was eventually moved to ABC on December 1, 1975, to make room for the As the World Turns expansion to one hour. We Love Soaps included this timeslot change on the 25 Biggest Blunders in Daytime Soap Opera History list back in 2011. 1975: On Ryan's Hope, Jack Fenelli (Michael Levin) took Mary Ryan (Kate Mulgrew) to see Sister Mary Joel (Sylvia Sidney), who told Jack she needed his help. 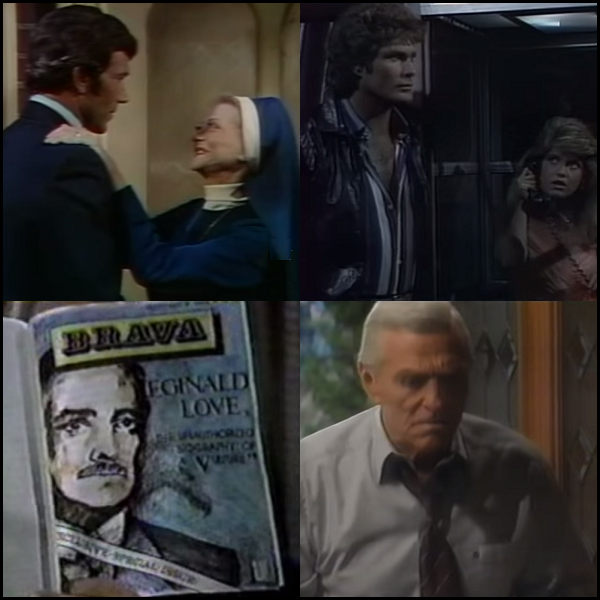 1980: On General Hospital, Rose (Loanne Bishop) and Joe (Doug Sheehan) stood by Paddy Kelly's (Frank Parker) hospital bedside after he was stabbed by Frank Smith's (George Gaynes) men. 1984: Knight Rider (and former The Young and the Restless) star David Hasselhoff guest-starred on Santa Barbara. In the episode, Jade Perkins (Melissa Reeves, then Melissa Brennan) and Danny Andrade (Rupert Ravens) ran into Hasselhoff as he waited to use a phone boot Jade was in. Note: The clip below has been dubbed. 1984: On General Hospital, Frisco Jones (Jack Wagner) wanted honesty from Felicia Cummings (Kristina Wagner, then Malandro). Felicia tried to run away but broke her leg. 1984: On The Edge of Night, as the trial of his wife, Raven (Sharon Gabet), began, Sky Whitney (Larkin Malloy) interrupted the proceedings to demand Brian Murdock be removed from her case. 1986: On Another World, men hired by Reginald Love (John Considine) started a fire at Cory Publishing to keep Mac Cory (Douglass Watson) from publishing a story in Brava exposing Reginald. 1989: On As the World Turns, the investigation into the murder of James Stenbeck continued. 1990: Michael Sabatino debuted as Lawrence Alamain in Days of our Lives. 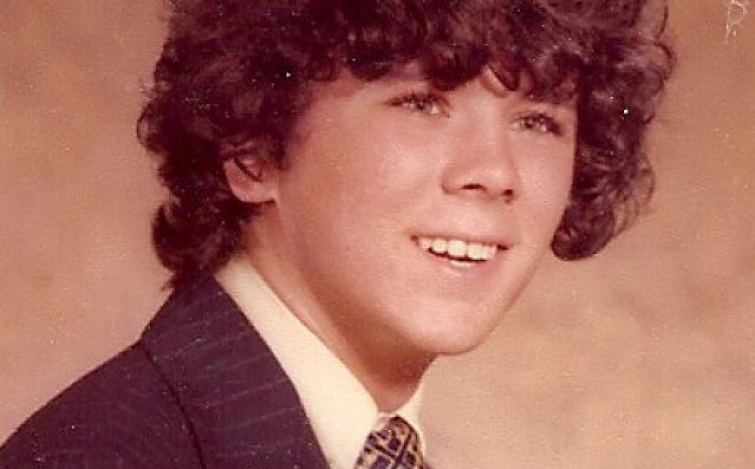 Larry Gates starred as H.B. Lewis on Guiding Light. 1997: On The Bold and the Beautiful, Stephanie (Susan Flannery) angrily confronted a perplexed Lauren Fenmore (Tracey Bregman) over the scandalous photo that was found in the minister's Bible during Stephanie's now-aborted wedding to Eric. The photo, which showed Lauren and Eric naked in bed had actually been planted by Stephanie's nemesis, Sally Spectra. SLAP ALERT! 1997: On Guiding Light, friends and family gathered for the funeral of H.B. 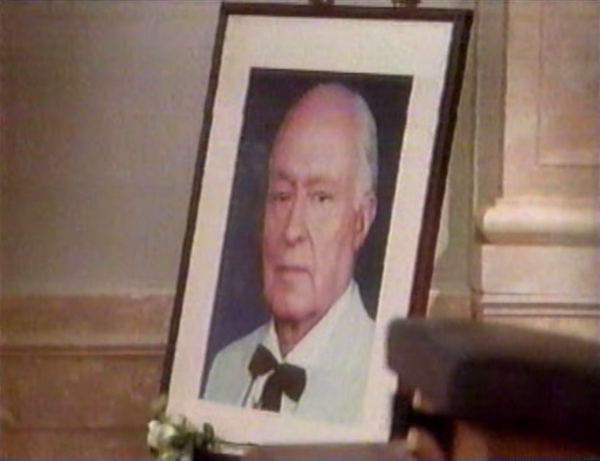 Lewis, a beloved character played by Emmy winner Larry Gates for 13 years until his death on December 12, 1996. T.J. Hargrave played Tim Werner on Guiding Light. 2001: Nearly 3,000 people were killed in the terrorist attacks of September 11, 2001 at the World Trade Center site in New York City, near Shanksville, Pa., and at the Pentagon. Former Guiding Light child actor T.J. Hargrave, who played Tim (T.J.) Werner, was working as a vice president of Cantor Fitzgerald at the time of the attacks on the World Trade Center, and lost his life that day. He was only 38. 2003: On The Young and the Restless, John Abbott (Jerry Douglas) finally got to do what others have only dreamed about when he punched Victor Newman (Eric Braeden) smack, dab right in the kisser! "Raging Bull" John was out for blood that day, because he felt Victor's recent machinations were what led to John's grandson, Robert Carlton, being stillborn. 2010: Actor Kevin McCarthy, whose primetime soap roles included Lucas Carter in The Colbys and Claude Weldon on Flamingo Road, died at age 96.